Giorgos Papavassiliou1, Spyridon Ntioudis1, Gregoris Mentzas1, Andreas Abecker2 1 School of Electrical and Computer Engineering, National Technical University of Athens. Business Process Management (BPM) and Business Process Reengineering (BPR) [1,2] have been predominant business trends from the mid eighties until the nineties, and are now becoming “serious tools” instead of hype; in the decade from the mid nineties on, the most “fashionable” trend seems to be Knowledge Management (KM) [3,4]. The DECOR project (“Delivery of Context-Sensitive Organizational Knowledge” ) develops method and tools for Business-Process Oriented Knowledge Management (BPOKM), a synergetic combination of the two approaches which builds on the fact that business processes constitute a major knowledge platform of a company; i.e. knowledge is mostly created and used in business processes, knowledge reuse is useful to a big extent within business processes (BP), and new knowledge to be acquired or created is relevant if it is relevant for optimally enacting business processes. Donatas Čiukšys & Albertas Čaplinskas, Vilniaus universiteto Matematikos ir informatikos fakulteto lektorius Vilnius University, Faculty of Mathematics and Informatics. The paper proposes an approach to reuse of business process knowledge based on domain engineering, knowledge engineering and ontology-based systems engineering. The main idea of the proposed approach is to separate business process ontology and application domain ontology, and reuse the process ontology in different application domains. A notion of generic business process is introduced and is defined as a family of similar business processes. The two life cycles activity of location of generic business process in application domain is discussed. Engineering of process domain is an activity that is analogous to the domain engineering activity in the two life cycles model (Czarnecki, Eisenecker, 2000). Its purpose is to develop particular process domain. 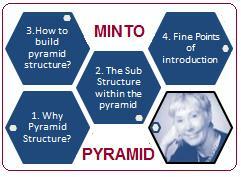 This activity includes three sub-activities referred as analysis, design and implementation of process domain. Process engineering is an activity that is analogous to the application engineering activity in the two life cycles model (Czarnecki, Eisenecker, 2000). Its purpose is to generate a particular business process and to locate it in a chosen application domain. Process engineering starts with two parallel activities – analysis of application domain and configuration of generic business process. Relational Characteristics and Knowledge Transfer Mayer et al. (1995, p. 712) define trust as “the willingness of a party to be vulnerable.” Our focus here is on the closely related concept of perceived trustworthiness—that quality of the trusted party that makes the trustor willing to be vulnerable. The trust literature (see Dirks and Ferrin 2001, Mayer et al. 1995 for reviews) provides considerable evidence that trusting relationships lead to greater knowledge exchange: When trust exists, people are more willing to give useful knowledge (Andrews and Delahay 2000, Penley and Hawkins 1985, Tsai and Ghoshal 1998, Zand 1972) and are also more willing to listen to and absorb others’ knowledge (Carley 1991, Levin 1999, Mayer et al. 1995, Srinivas 2000). By reducing conflicts and the need to verify information, trust also makes knowledge transfer less costly (Currall and Judge 1995, Zaheer et al. 1998). These effects have been found at the individual and organizational levels of analysis in a variety of settings. The motivation standing behind the commitment of TP to the telecom domain ontology stack is the general presumption concerning semantically-enabled business process management: bringing business processes to the business level. In particular even quite basic business involvement (teamed by knowledge engineers) in the ontology creation process brings uncountable benefits in areas such as knowledge transfer among divisions and teams, product knowledge standardizing, rise in awareness of bottlenecks in time-tomarket improvement, workflow management and, last but not least, the business processes management review through the whole services and products division. The KM System Architecture Design for Service Providing. The globalization process is driven by rapid changes in technology, market and culture resulted in global knowledge economy and information society. New challenges and requirements are done; questions are: How to do knowledge management in organizations? How to develop organizational knowledge in companies? Key success factor in implementation business systems is knowledge about business processes. Today, staff is organized around goals and knowledge in new organizational forms (like: competence centres, front offices, back offices, help desks…) and supported by IC networks. In daily operating procedures everyone in company has to know his/her roles to mission-vision-strategy implementation i.e. values done by him/her. One of the most often business system type is Service Providing driven by knowledge and driven by ICT. Robert F. Clemens, Paul G. Seelman, Richard L. Knopman, and Hoi Y. Chong, Northrop Grumman Information Technology, Federal Enterprise Solutions. Business requirements, e-government initiatives, and recent legislation such as the Clinger-Cohen Act are all driving federal agencies to standardize and consolidate existing telecommunication networks, better control networking costs, and deploy more advanced network services. At the same time, federal customers are increasingly looking to outsource network services and to move toward performance-based, managed-service contracts centered on servicelevel agreements. Those changes bring new challenges to providers of network services that affect all levels of the organization, most fundamentally the network engineering level. Under development by Northrop Grumman Information Technology, the Network Enterprise Engineering Toolkit (NEET) is designed to assemble proven network engineering processes, techniques, and tools to provide a capability to meet evolving customer telecommunication requirements. Improved methods for collaborating internally within and among projects, as well as for sharing network-engineering-related information, will increase Northrop Grumman’s ability to meet those challenges. This paper describes how knowledge management techniques are used in NEET to develop improved network engineering processes. What’s your “return on knowledge”? KVC is an initiative to apply modern management methods and technologies to organizational “knowledge processes”—including market research, corporate intelligence, special libraries, and even R&D and legal research. The KVC model treats knowledge production as a specialized type of manufacturing process. Since it is subject to the same ROI metrics and management techniques as other kinds of manufacturing, it can be improved and optimized using similar methods. Compete more effectively by using your organization’s knowledge better. The late Peter Drucker said, “The productivity of knowledge is the determining factor in the competitive position of a company, an industry, an entire country.” Knowledge is far more than a “nice-to-have”—it’s a must-have to compete effectively in the information economy.